On July 1, Danielle LeBlanc and I caught a Short-tailed Swallowtail at the summit of Squaw Cap (47.882247,-66.88636). This is just the third confirmed inland record of the species in New Brunswick (the other two are from near Edmundston and St. Leonard). On June 30 we saw another black-coloured swallowtail at the top of Sugarloaf Mountain in Campbellton that was very likely another Short-tailed Swallowtail, but unfortunately I wasn’t able to document it. It would appear summits of large hills are a great place to detect Short-tailed Swallowtail away from the coast (the species has also been found at the summits of Mont-Albert in the Gaspé Peninsula and Gros Morne in Newfoundland). At summits some butterfly species, along with species from several other insect groups, congregate for the purposes of mating. This behaviour is called hill-topping – take a look at http://en.wikipedia.org/wiki/Hill-topping_(biology) for more information. The individual that was atop Sugarloaf is possibly still present, so if you’re in the area and feel like getting some exercise it would be worth a visit – but don’t forget your camera! Collecting specimens in Sugarloaf Provincial Park is not allowed without a permit. Other potential sites are Big Bald Mountain (47.194933,-66.423515), Mount Carleton, and maybe even Turtle Mountain (47.194933,-66.423515). All three of these sites are in protected areas, so again, bring a camera (Mount Carleton is in the provincial park, the other two in protected natural areas). Suitable sites are the summits of large hills. Ideally the summits are small and well defined (i.e. there is not a large plateau), and lightly vegetated (densely treed summits are not suitable – if there are butterflies at such sites they’d likely congregate at the treetops). There are certainly many more potential sites than what is listed above. It isn’t known how widespread Short-tailed Swallowtail is away from the coast in New Brunswick, but all current records are from the northern half of the province. 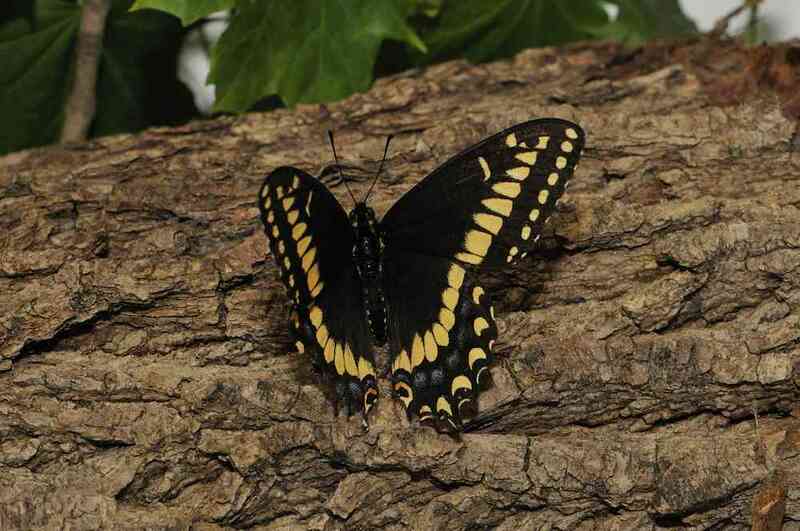 The best time to visit these sites for Short-tailed Swallowtail is late May through early July, during the species’ spring generation, and again in August and early September during the second generation. Up top of any suitable summit you’ll likely encounter a number of other species. At the summit of Squaw Cap we had Mourning Cloak, Canadian Tiger Swallowtail, White Admiral, and Northern Cloudywing. Eastern Tailed-Blue: New for PEI!